Three volumes (35 cm), I (Text): xiv, 367 (1) pp. II (Catalogue): xii, 388 pp. III (Illustrations): (6) pp., 1109 half-tones printed in black, (4) pp. index. Uniform publisher’s blue cloth, printed dust jackets (volumes I-II only). 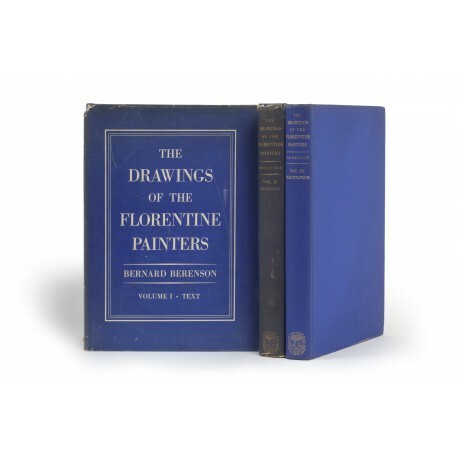 - An illustrated catalogue of known Florentine drawings from the Trecento to Michelangelo and his contemporaries, with a separate text discussing each artist, compiled to provide for “the fuller understanding of the artist and his finished works”. This approach was highly original: “No large systematic study of old master drawings had ever been written before, and no one had thought, in the words of the title, of criticizing and studying them as ‘documents in the History and Appreciation of Tuscan Art’” (Kenneth Clark, cited by Philip Pouncey in Master Drawings, volume 2, 1964, p.278). It remains an essential tool for scholars. 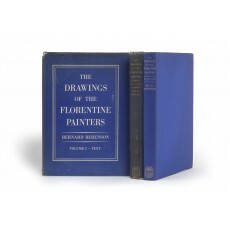 The work was first published in New York & London in 1903, in two unwieldy volumes containing 2801 entries and 180 heliotype illustrations (limited editions of respectively 355 and 244 copies). This revised edition contains about five thousand entries (the old numbers are retained and provided with coefficients), many appendices (none had appeared in the first edition), and upwards of 1000 illustrations. Lorenzo Monaco, Maestro di Bambino Vispo, and Spinello Aretino are among painters who appear for the first time in this second edition. 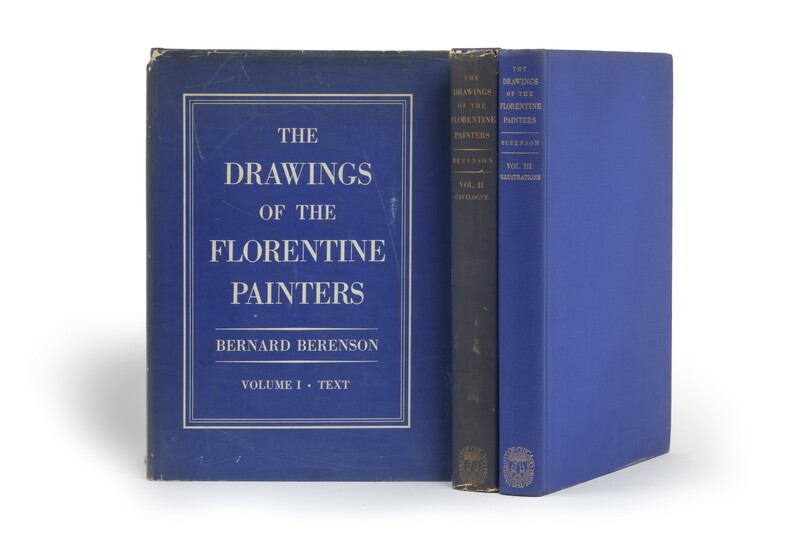 ¶ From the library of Denys Sutton (1917-1991), editor of Apollo Magazine (1962-1987), inscribed by him and dated 1939 (Bloomsbury Book Auctions, Catalogue of the Art Reference Library of the Late Denys Sutton CBE, 13 February and 26 March 1992, lot 250). Dust jacket lacking for volume III; jackets of volumes I-II chipped and torn, with small losses. Otherwise an excellent copy.